While visiting one of France’s petite cité de caractére in Bretagne (I believe it was called Leon), I came across a simple but old and beautiful church. While taking pictures inside and outside the church grounds, I came across this cat. The place was devoid of any other visitors save this little feline. 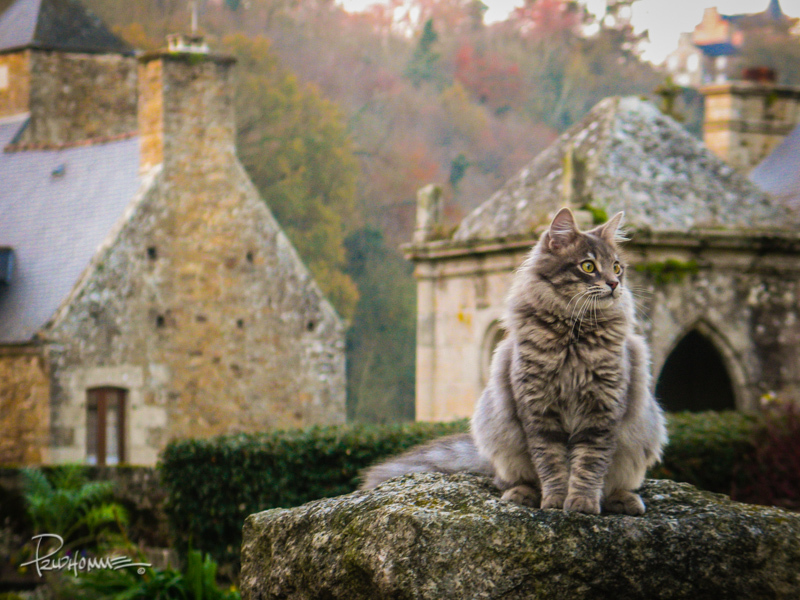 As we walked about admiring this quaint little village, the cat would scurry in and out of view. Before we departed, I finally caught a glimpse of it as it stood there, probably waiting for us to leave. Shortly after taking the picture, the cat left. I like the beautiful background that’s out of focus just enough but can still be seen. ow……the color of the background complements the color of the cat! nice! Thanks Peet! I agree on both descriptions!